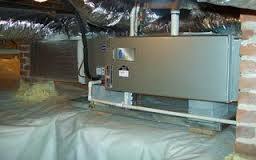 "Best Heating & Air Service"
Holsenback Service Inc. has been in operation for 38 years. Started in 1977, we have always strived to put our customers first. We are now into our second generation of management and will be here for years to come to serve our customers needs. We are fully capable of taking care of the smallest residential issues all the way up to Installing 25 ton commercial equipment. We also stock parts, equipment and supplies to get your system back up and running. We operate in South Carolina, typically serving Aiken County, Saluda County, Lexington County, Newberry County, Edgefield County and Richland County. The Owners of Holsenback Service Inc. are actively involved in day to day operations of the business including repairs, service and installations. Our Employees have a combined experience of over 200 years and are fully capable of handling all your HVAC needs. Please feel free to contact us for all your heating and air conditioning needs. Our office is open Monday through Friday 8am to 4:30 pm.